Lock in a great price for Hotel Mustapic – rated 8.2 by recent guests! I was pleased with the location in downtown and close to the pier. The staff were very friendly and helped whenever we needed directions. 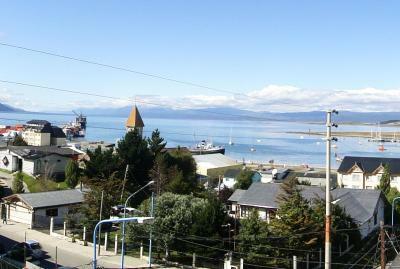 The restaurant sits on the top floor of the hotel with a great view of the mountains and the harbor. It was a fine location at a reasonable price and had all the essential comforts. Great helpful staff, stunning views from the lounge/breakfast room . Great value . Thoroughly enjoyed it! Staff was very friendly. I had a heavy bag and he kindly carried it up the stairs to my room. 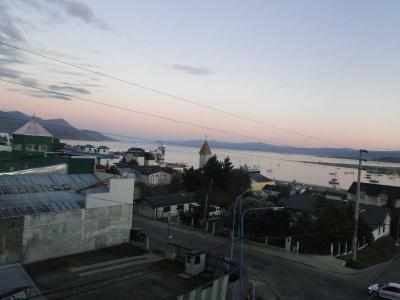 Very close to town and restaurants. Walked everywhere! The staff was very friendly and useful, they help you to get around the city. The hotel is very cosy and everybody there makes you feel very comfortable, I felt at home. outstanding cleanliness. La gente del hotel es extremadamente amable, te ayudan a moverte por la ciudad, el ambiente es super hogareño. Muy limpio y calentito. Breakfast place is amazing, the view of the city and mountains waking up is totally special! Staff super warm and helpful. Location is perfect to go around the city, simple but fair priced. The front desk clerk, Emmanuel (sp) was very helpful and let me check in at noon. He even offered to hold my bag after I checked out until the next leg of my journey began. There is an enclosed top-level observation room which offers nice views. It is in a decent location. Very nice man at reception. Very helpful, very friendly and spoke English well. Also enjoyed the breakfast upstairs. 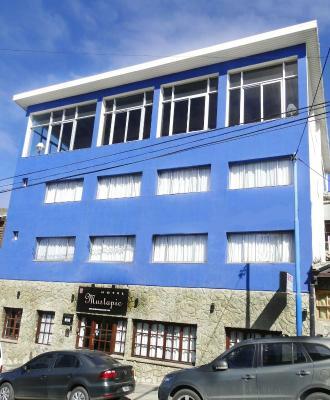 Great location, nearby shops and restaurants. Lounge area has an amazing view of the town and ocean nearby. Hotel Mustapic This rating is a reflection of how the property compares to the industry standard when it comes to price, facilities and services available. It's based on a self-evaluation by the property. Use this rating to help choose your stay! 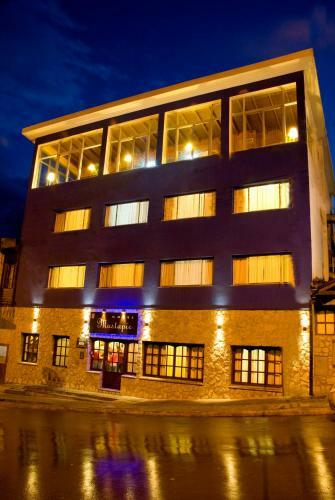 The Mustapic Hotel is located in the historical center of Ushuaia city, 650 feet from the Beagle Channel and 500 feet from San Martin main street. Free Wi-Fi access is provided. 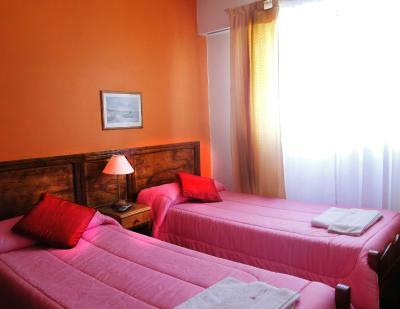 All rooms are decorated in warm tones and feature heating, cable TV, and private bathrooms. 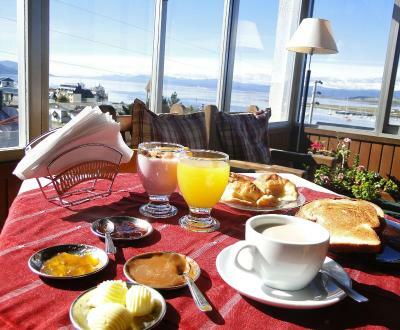 Mustapic offers panoramic views of the Ushuaia bay from the breakfast room on the 3rd floor, where guests can relax and admire the stunning city views. 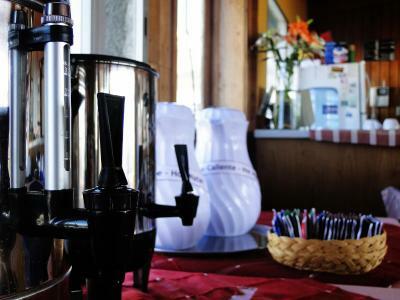 They can enjoy a buffet-style continental breakfast on site. Free WiFi access is available in all areas, including a dedicated Lounge on the 3rd floor with high-speed internet, an ideal space to work from. 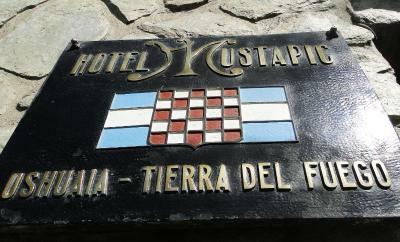 When would you like to stay at Hotel Mustapic? 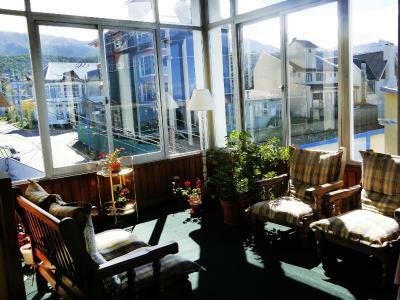 This room features heating, cable TV, a private bathroom, and views of the bay or the mountains. 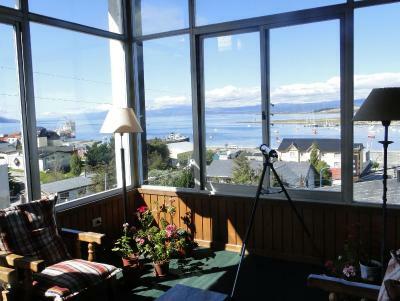 This room features heating, cable TV, a private bathroom, and views of the bay, mountains, garden or street. House Rules Hotel Mustapic takes special requests – add in the next step! Hotel Mustapic accepts these cards and reserves the right to temporarily hold an amount prior to arrival. Please note that WiFi is available in all the property, but signal strength can vary from room to room and different areas of the property. Noisy. You can hear other people and TV next rooms. People come in and go out early in the mornings, and as the rooms are not sound proof, you wake up. No elevators/lifts. Breakfast room is way up on 3rd floor. Nice management. Very nice view from the Breakfast room on 3rd floor. Breakfast could have had a little more protein? Hard boiled eggs maybe? The people are very accommodating and go out of their way to help and start breakfast early for outings and make calls etc. Very informative about activities to do. I would improve on the breakfast selection and add a little more protein foods. Also having a Erin by the stairs can be noisy at night as people aren’t considerate about being quiet. I’m an early to bed and early to rise person. Overall I would stay again, nice view and very kind kind staff. It was dirty, the bed linen was not changed. The bathroom handle was broken and the repair took forever. Finally they gave me a different room. The heating did not work properly. The receptionist just told me to keep the room door open to outside if I wanted the heating to run... how ridiculous! The manager showed up to apologise for the bed linen and gave me clean sheets. There is a nice view from the breakfast room on the top floor. The breakfast was OK, the staff was very kind, the view was nice. - Maybe breakfast. I think it would be great to add some variety: some fruit, maybe ham or cheese. - Can`t call the room spacious but it was comfortable and with all necessities. - Regular room cleaning. - The owner and receptionists were very nice and friendly. - Good location of the hotel. - Decent quality for that price. - Panoramic view from the breakfast area. The tub only functioned as a shower and the small bathroom was rather outdated and basic. 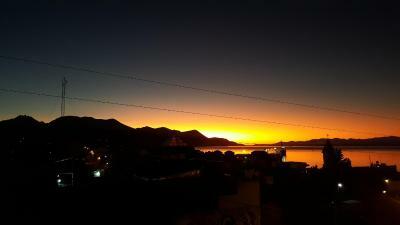 The breakfast wasn't much more than toast and coffee, but it was a nice view of the sunrise every morning. There is an annoying HVAC vent that makes a lot of noise and heats the rooms up every morning at 6am. Unfortunately, that was the sacrifice we made by choosing a room with a window. The only thing which was not perfect was the air condition. It was not possible to individually regulate it, so it became sometimes quiet hot and dry in the room through the generally managed air condition. I did not say the cleaniness was perfect as we found a quiet dirty bed linen when we arrived. Nevertheless it was directly changed, so no point to complain about! I liked the breakfast, the staff was extremely friendly and the view from the restaurant on top of the hotel was georgeus! We really liked this place. Poor breakfast, very small rooms. YOu cannot control water temperature to reach the proper setting for a good bath. Air conditioning is insufficient and poorly regulated - you will either feel cold or very hot. Tiny bedroom and bathroom, rock hard beds. No lift, so you carry your bags upstairs, one or two floors. Location and staff were very good. Breakfast is OK. It's not bad for one or two nights. It was quiet. You can;t control the heat and it got pretty hot. Cleaning solution smell was over powering, had to open windows. Some will not like the extra firm mattress, it was fine for me. Staff was excellent. Very accommodating. The hotel is dated but that didn’t bother us as for the price it was great and very clean.